The CPU of my HP Pavilion is AMD, it is not Intel. I am not able to use my computer without having a fan pointed directly at it. 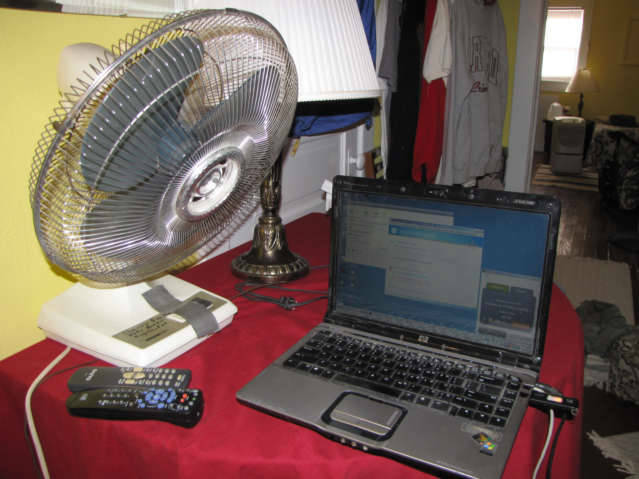 The computer has been hot for the last year, I have done many things to try to keep it cooler. However, after this last crash, the thing is toast, I have no choice, I must purchase a new computer. I am here in Indiana, it is freezing outside and I have a fan blowing full blast on my computer to cool it. There has been many techies who told me this computer is a problem. I have few options, as best I can figure out, the only computers brands that appear to give computer warranty worldwide are Sony and Hewlett Packard. I will probably buy a Hewlett Packard tomorrow with an Intel Chip inside. Dell is a USA computer, not global. Toshiba is good, but not truly global. Acer is great, I would like it, and it I do not buy a Hewlett Packard, I will probably go for the Acer. Sony is still not really mainstream, it is the new kid on the block. I only see Americans with Dell Computers, contrary to their big USA noise, I feel they are only a USA brand, not a global brand. Who will do Warranty work in the country of Ethiopia, it is NOT a feasible option to send a computer back to the USA for work? I suspect Acer is big in Africa... the good thing is I can buy this tool for about 600 US Dollars.